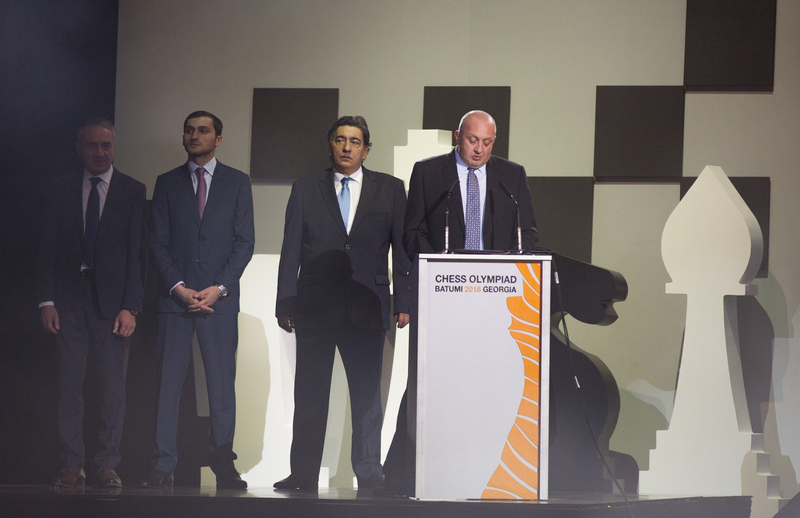 43rd Chess Olympiad in Batumi is officially opened! 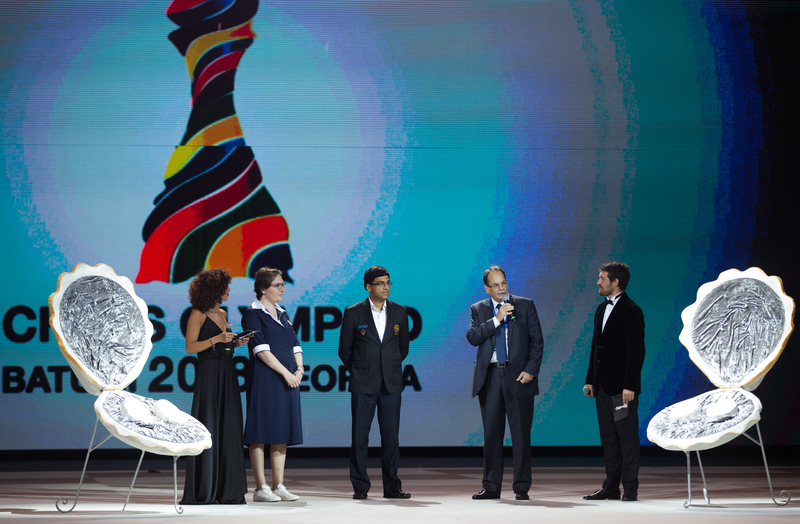 The 43rd Chess Olympiad was opened with a solemn but highly entertaining ceremony, held at the Black Sea Arena, attended by the chess players, captains and officials of the 185 chess participating countries. 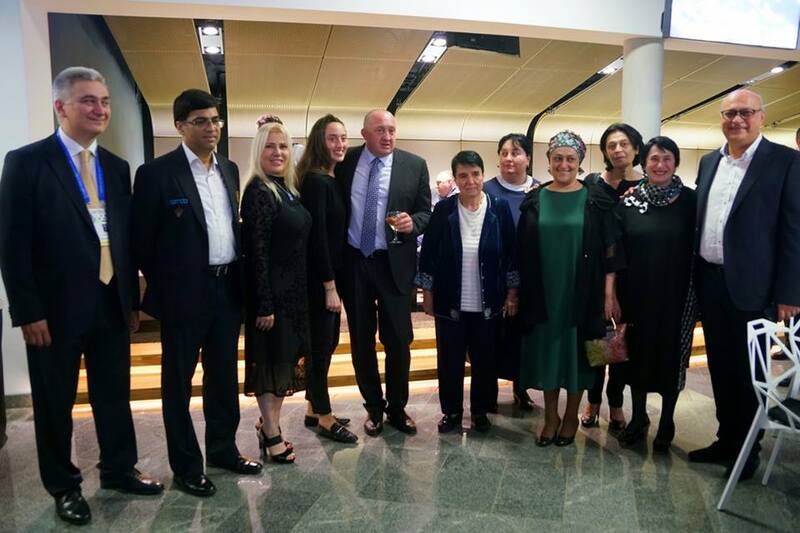 The ceremony started with a play re-enacting the legend of the invention of chess and the famous "wheat and chessboard problem" and then the Goodwill Ambassadors of the 43rd Chess Olympiad addressed the guests through video messages. On the stage in the Black Sea Arena the speeches were delivered by Minister of Education, Science, Culture and Sports of Georgia Mr Mikheil Batiashvili, Chairman of the Government of the Autonomous Republic of Adjara Mr Tornike Rizhvadze, FIDE Deputy President Mr Georgios Makropoulos, and President of Georgia Mr Giorgi Margvelashvili. 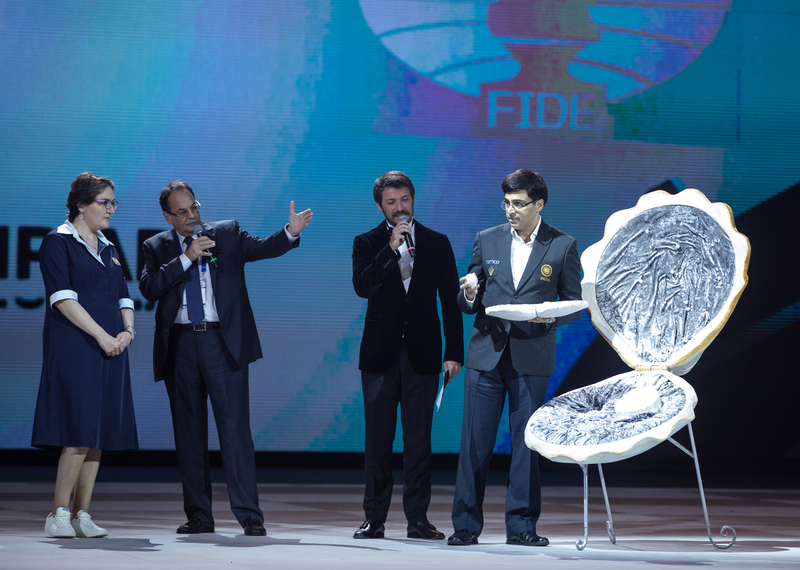 Over 110 chess photos from the Opening Ceremony here. Mr Makropoulos delivered an impressive speech, stressing the need for a new era of politically and financially independent FIDE and presenting a very positive vision. 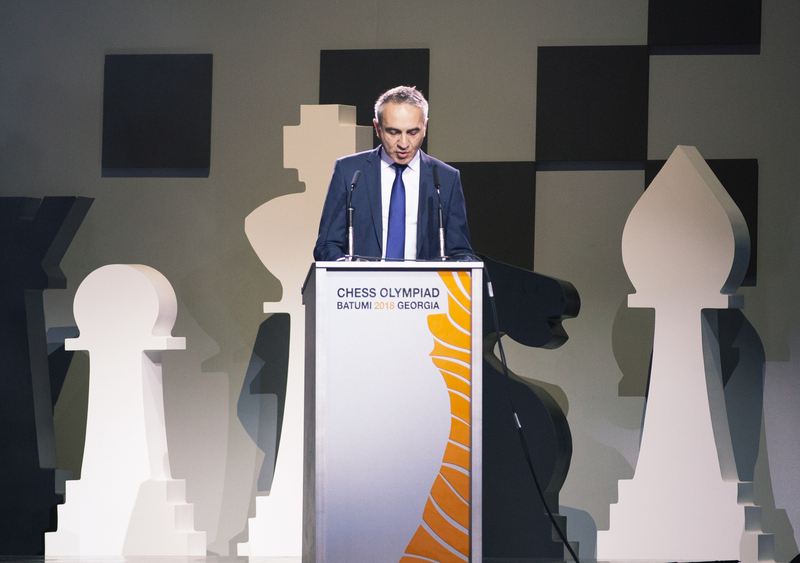 "I am certain that the Organizing Committee will do everything possible to have one of the best Chess Olympiads in the history." 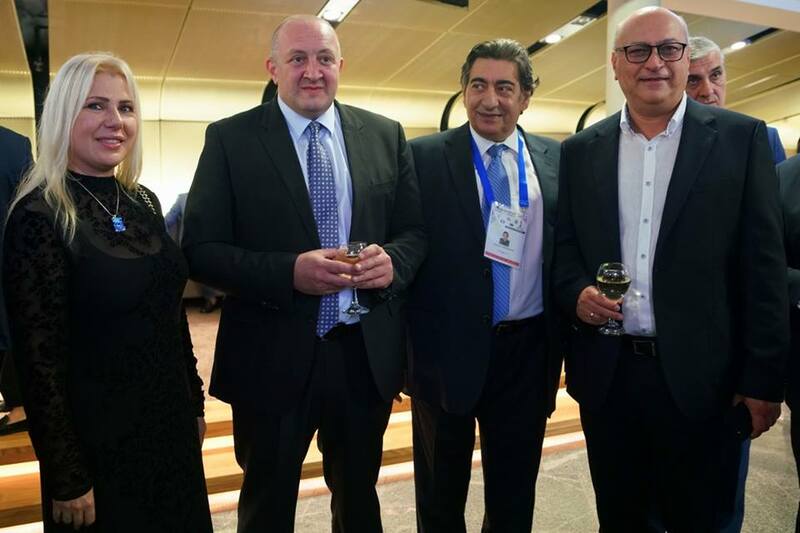 Mr Makropoulos said, adding "FIDE, National Chess Federations, chess players, we must all demand the best for our sport, for our game and for the image of FIDE worldwide. We have great weapons in this fight! 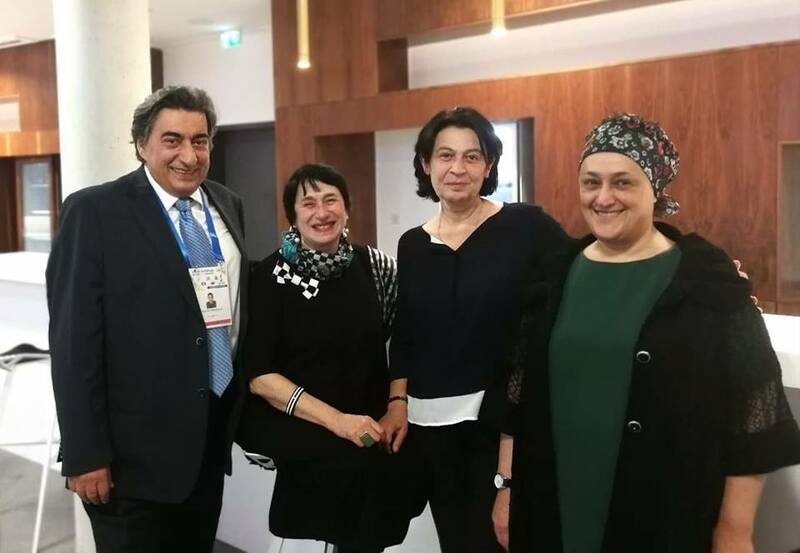 Famous chess champions, new technologies, Chess in Schools and of course the national chess federations, who work very hard and with great dignity to develop chess in their countries!" 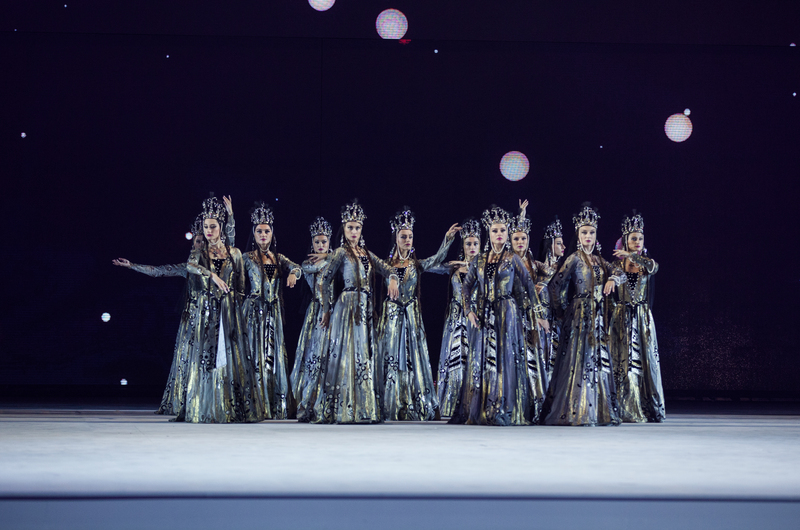 The anthems of Georgia and FIDE were followed by the defile of flags, the trademark Georgian polyphonic songs, traditional dances, a DJ performance, a rock band, State Symphony Orchestra and Georgian National Ballet, all coupled with impressive choreography and visual effects. 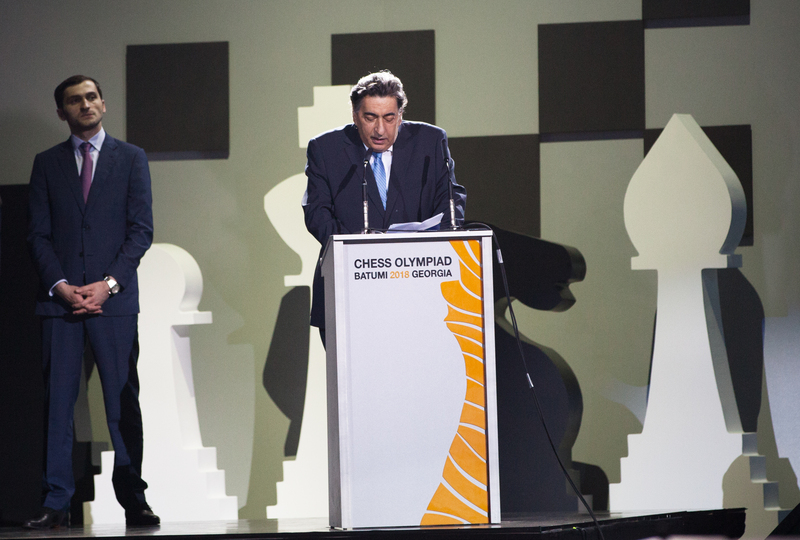 "Today is a very special day and we are happy to share this moment with you", the announcer said before inviting the Chief Arbiter Takis Nikolopoulos, the Batumi Olympiad Goodwill Ambassador Viswanathan Anand and Georgian chess star Nana Dzagnidze to the stage to perform the drawing of colors. The colors were to be decided by white and black pearls hidden inside the seashells. Viswanathan Anand picked the white pearl, meaning that the top seeded team in the Open section - USA will start the Olympiad with white pieces on the top board. Nana Dzagnidze picked the black pearl and the top seeded team in the Women section - Russia will play with black pieces on the top board. 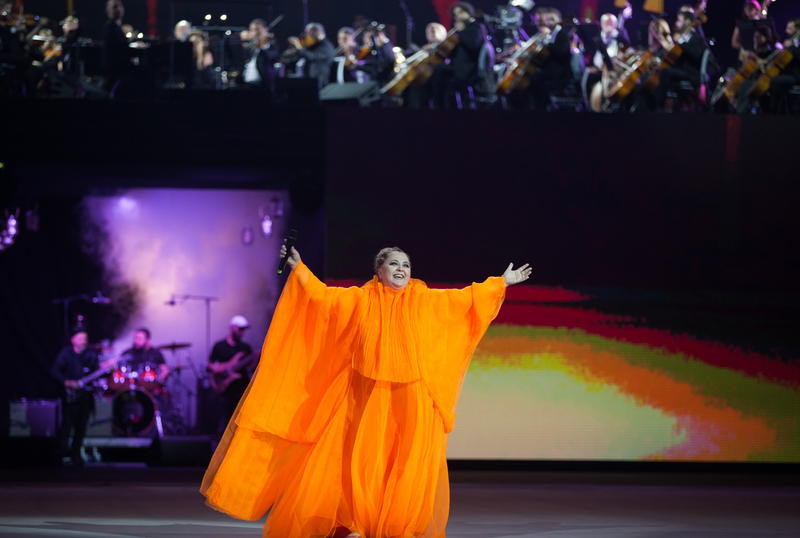 At the end of the ceremony there was huge fireworks show in the skies above the Black Sea Arena. The ceremony was broadcasted live on the Georgian TV First Channel. The first round of the competition will start on 24th September at 15:00 local time. There will be 185 teams competing in the Open section (full list here) and 151 teams in the Women section (full list here). 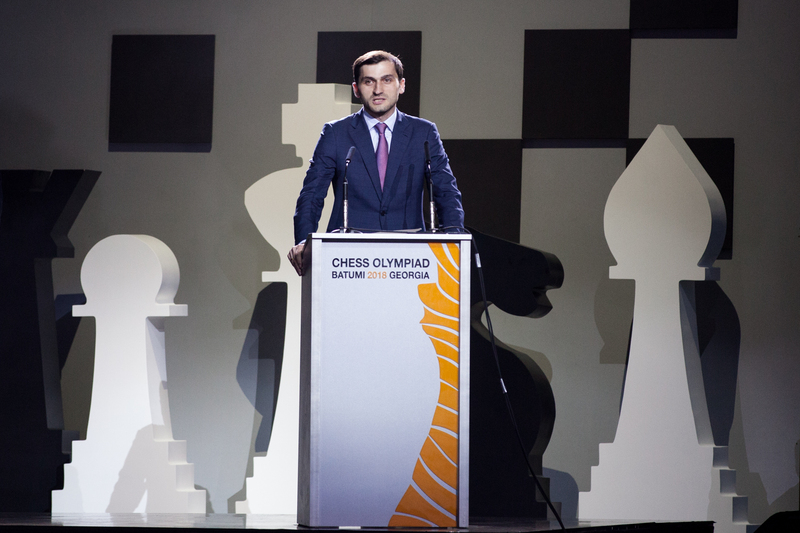 For more information visit the official website of the 43rd Chess Olympiad.